Created from resin and stone mix, our beautifully carved angel bird bath is an inspiration for the garden which welcomes the angels to rest. 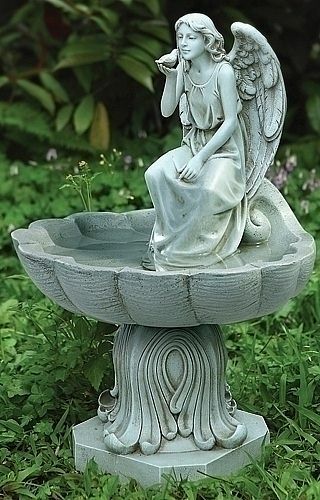 The bird bath highlights lovely acanthus designs and an angel figurine as part of its decorative appeal. Resin.